I’ve just seen the latest Forestry Commission data on Ash Dieback – a huge increase in the incidence of breakouts in Devon – must admit I’ve yet to see a case anywhere in the UK but this is worrying. If you want a copy of this map you can download it here and you can get more information about ash dieback from the Forestry Commission website – here. The BBC carried a report a couple of days ago that the incidents of the fungal disease ash dieback in Devon had increased rather dramatically. 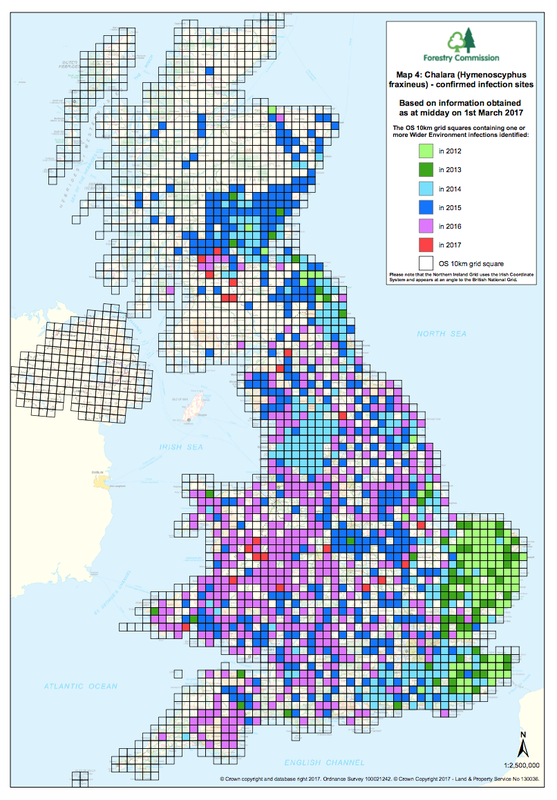 Unfortunately I can’t find any reference to the short report and have only managed to find a Forestry Commission ash dieback map which was updated on the 1st September this year. 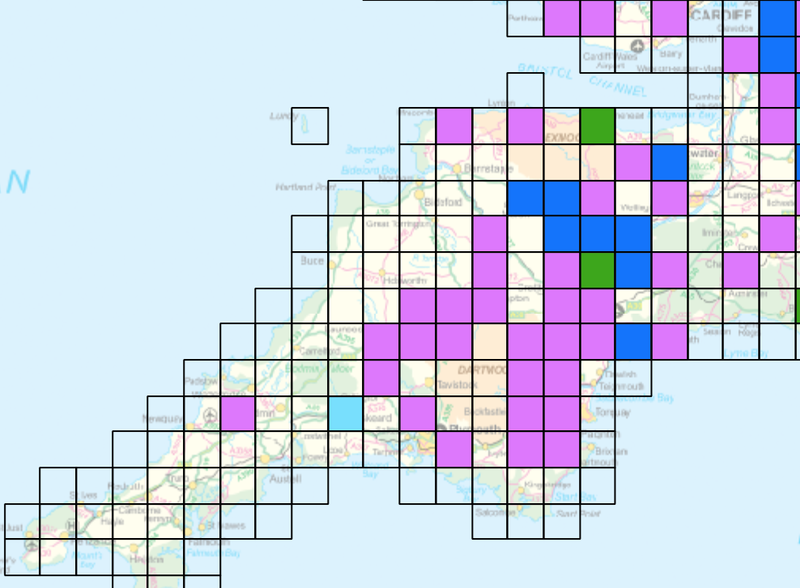 This map at this scale isn’t particularly clear but it would appear that new cases of ash dieback have been recorded in between Exeter and Dartmoor and especially running up the Exe Valley (the light green squares). 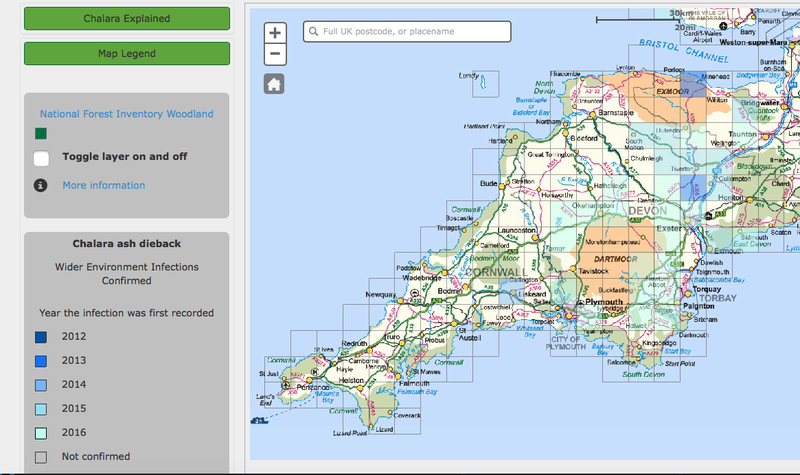 You can look at the map yourself – see here and zoom in on areas you are interested in. If anyone can point me in the direction of the report / press release which led to the BBC coverage I would be most grateful.